COAL wage negotiations in South Africa may be taking a turn for the worse after the National Union of Mineworkers (NUM) served notice it would embark on a strike at Exxaro Resources’ Grootegeluk and Leeuwpan mines tomorrow (September 14). The union, which has demanded a wage increase of 10%, said it had been locked in negotiations through the Council for Conciliation, Mediation and Arbitration (CCMA) since September 6 after a dispute had been earlier called. NUM then served Exxaro with a 48 hour strike notice that became active on September 12. “The strike will start tomorrow morning at 6am,” said the NUM. Grootegeluk, which is situated in the Limpopo province, produced 11.4 million tonnes (Mt) in the first six months of Exxaro’s financial year – about half of the total 20.9Mt it produced in thermal coal, including buy-ins. Of Grootegeluk’s production, some 10.3Mt was supplied to Eskom. Nearly all of Leeuwpan’s 1.8Mt in thermal coal production in the first half of the year was sold to Eskom. Said William Mabapa, NUM Deputy General Secretary: “The union demands a wage increase of 10%, service increment of 0.5% that is given to other employees and denied to other employees, housing increase of 10% or R5000.00, standby allowance of 10%, family responsibility leave of 8 days, long service award of 15 years with one Kruger rand etc”. Grootegeluk and Leeuwpan negotiate wage increases directly with the NUM, but its other mines – housed in the companies Delmas Coal and Exxaro Coal Mpumalanga – are part of the Chamber of Mines’ central bargaining council which is also negotiating wage agreement renewals on behalf of Anglo Coal, Kangra Coal, Koornfontein Mines and Glencore. Mxolisi Mgojo, CEO of Exxaro said last month that there was “nothing unusual” about the wage talks this time around. “If we disagree with each other we will go through what we normally do: we go to the CCMA for dispute resolution and, ultimately, we find each other. We’re in that process now,” he said. South32, the Perth- and Johannesburg-listed diversified miner, conducts its wage negotiations independently of the Chamber of Mines. Mike Fraser, COO of South32’s southern Africa operations, said the firm was “at the nutty end of talks”. 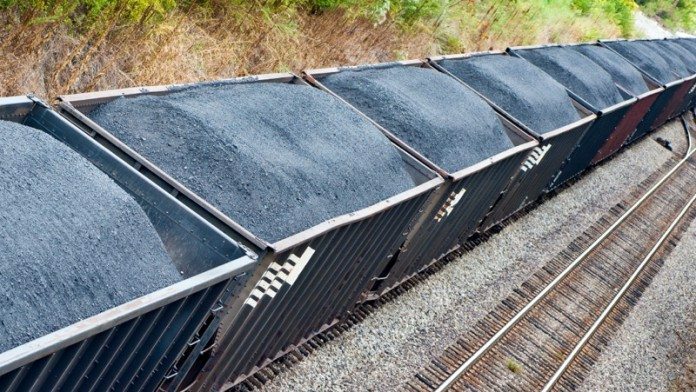 “With coal, we started with a demand list of 40 items and we’re now down to eight items,” he said. “The latest is that the unions are looking at about a 10% wage increase; that’s where it is at the moment. “But we know it will get more into the single digits and closer to our numbers, and literally what we can afford is more like we settled at manganese (assets in South Africa which was about 7%). It’s probably where we’d like to end up,” said Fraser. “But there’s a bit of to-ing and fro-ing on a couple of issues like increasing the housing allowance and all that typical stuff that goes with it,” he said. Fraser did not anticipate there would be any mine stoppages.